A musician from Fort William has been given a National Music appointment. 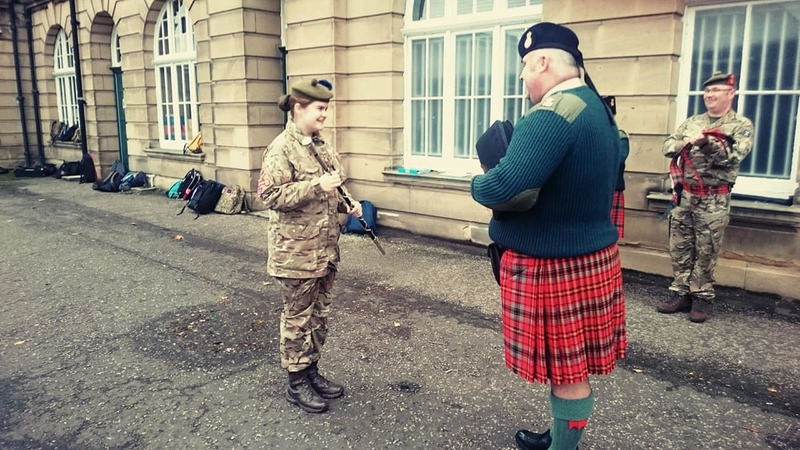 Cadet Colour Sergeant Jodie Standen (17), from 1st Battalion The Highlanders’ Pipes & Drums Detachment, has been appointed as the Cadet Drum Major for the Cadet Force Pipes & Drums. CSgt Standen has been a member of the battalion since April 2013 and is not only dedicated to furthering herself as a cadet, but also helps to ensure that the junior cadets within her Battalion and Detachment strive to reach their goals. 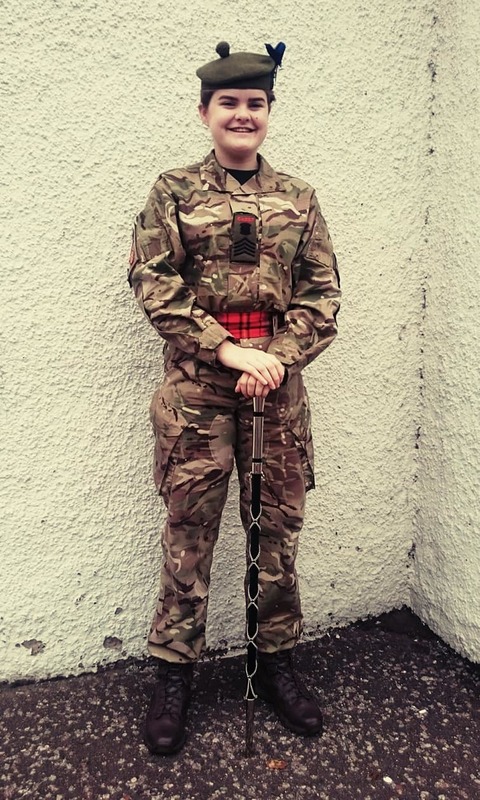 Jodie makes an almost 4-hour round trip from her home in Fort William to Culloden to take part in the Pipe Band Detachment’s training nights where she is also the Battalion’s Cadet Drum Major. Jodie acted as Drum Major for the National Cadet Pipes and Drums in June as part of the band’s performance on Horseguards Parade in London. The band performed alongside the Massed Bands and Pipes & Drums of the Household Division. This was a daunting task which required her to learn a completely new set of Drum Majors Mace drill. However Jodie rose to the occasion, mastering the drill required and putting on a fantastic performance for which she was commended by the Senior Drum Major of the Guards Division. Jodie has also completed her BTEC Music Diploma with CVQO and is currently completing her Duke of Edinburgh Silver award. Jodie was appointed to her new position at the Cadet Force Piping & Drumming Course in October. As Drum Major, Jodie is expected to lead the band as they march and is responsible for providing commands to the cadets, directing them what to play, when to play and what time to keep.